You have a website where you sell some stuff. Things are growing steadily. Occasionally, you get a customer from another country—not often, but often enough to make you think that there might be a good market out there, if your website was translated into the local language. If that’s the way you are thinking, congratulations! You are right. Researchers agree that most people prefer to visit websites that work in their own language. 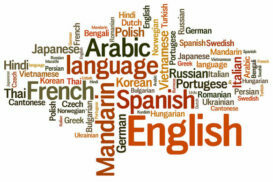 Even most of those who occasionally visit foreign language websites prefer to make purchases in their own language. It’s comforting to see content written in your mother tongue; it’s easier to trust people who speak the same language as you do. 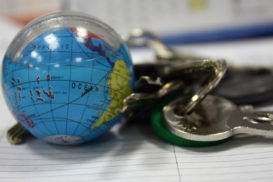 Here are 6 important things to consider when localizing your website. Building a web store is pretty easy these days. Tons of different platforms offer easy ways to sell stuff. Some are full turnkey solutions; some offer hosting, but require you to build the site on your own; others may require you to know some programming. The ease of use is not all that matters. Personally, I prefer a solution that is not too automatic, and I don’t mind if I have to write some scripts to access advanced functionality. Choose what suits you best—but make sure the platform of your choice supports multiple languages. Languages—that’s the thing! When you list your products for sale for the first time, the last thing on your mind is localization. That’s something you can do later, right? Yes and no. If the platform supports it, you can easily add languages later. Otherwise, when the time comes to localize, you will face having to rebuild your site on another platform. 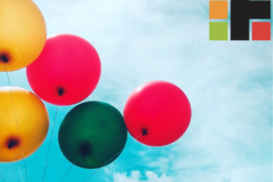 The most popular e-commerce solution is Magento Community Edition, a free, open-source solution with built-in support for hosting multiple language versions of the same catalog of products—in other words, exactly what you need. Magento also supports another localization essential: pricing in multiple currencies. Setting up Magento requires some technical skills, though. If that sounds scary, Google “Magento Hosting” to find a third party provider to setup and host your site. I consult a lot of retailers on localizing their websites. One discovery most merchants make is how much content they actually have. Because the cost of translation is directly proportional to the amount of text, clean up your catalog before getting it translated. Remove products you won’t be selling internationally (for example, move products to different categories). Check that your product descriptions are not overly long, and use as much repetition as possible. If you have phrases that repeat over and over again, make sure they are 100% the same all the time, with no variation, to benefit from techniques such as translation memory or cache. Categorize your catalog in a way that lets you control which parts are localized to each language. For example, if you sell clothes, you may not be introducing your skiing gear catalog to countries that never get snow. This helps reduce the time and cost of translating the catalog contents, but also makes the localized site easier to navigate and more relevant to the target audience. You are the expert on the products you sell. Translators, no matter how good, will not know every detail of your business. Help them do a better job by building a glossary of important terms. The glossary should list terms that should not be translated, as well as those terms that already have established translations. List any terms you are not sure about, and ask the translator to do some research on those before starting on the actual translation. This ensures correct and consistent use of terms, which helps build trust with the local audience. Translating a simple website is quite easy. Just grab the HTML, send it over to a translator and place the translated copy in the right place once you receive it. Things get much more complicated when dealing with hundreds or thousands of products. Adding to the complexity, the catalog is usually updated multiple times per year, sometimes every month. Manually managing hundreds of files doesn’t make any sense. It’s a lot of work and the odds of human error are pretty high when you don’t speak the target language. Sooner or later, you will inadvertently place a translation incorrectly. Tools like the Transfluent Extension for Magento take care of tedious file handling and version control. 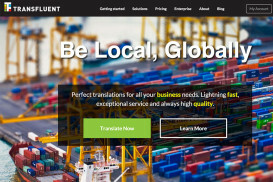 The Transfluent Extension installs right into Magento, and adds a functionality to send content to be translated. Choose the categories you want translated, and place an order with a couple of clicks. The translated content is automatically copied to the right place, once the translation is finished. Having followed the previous steps, your store now runs in multiple languages and customers are flocking in from all over the world. There’s one last hurdle to figure out: how to communicate with them. Since your website works in your customers’ language, your customer support does as well, right? When the business grows, you might want to consider hiring support people in different countries, but don’t do it immediately. Localized customer support is a much leaner and more scalable solution. Take a look at the Zendesk App from Transfluent as an example. It provides instant machine translation for all incoming tickets, so your English-speaking customer support team understands what the customers want, regardless of the language they speak. It also integrates professional translation as part of the reply process, so that your agents can write responses in English and have them automatically translated by native-speaking translators before they are delivered to the customers. This allows you to serve anyone in the world in their language right away, while giving you time to figure out if you need local support personnel in some regions. Localizing your e-commerce site is one of the best ways to boost your sales. Please reach out to us at Transfluent if you have any questions or need help. Translation is the only thing we do and that is why we are pretty darn good at it.